KAMPALA – Seven former police bosses have been charged in the General Court Martial sitting at Makindye with three counts. 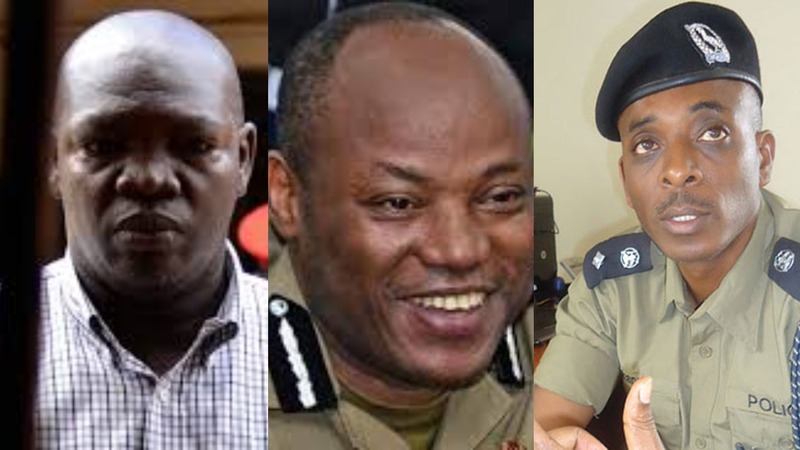 These include Herbert Muhangi; the former commandant of Uganda police’s Flying squad, former Director of crime intelligence Col. Nduhura Atwooki, former special operations unit commandant Nixon Agasirwe and his former deputies Richard Ndaboine and Patrick Muramira. Others are; a staff officer attached to the flying squad unit Jonas Ayebaza and Abel Kitagenda also an operative in the Flying squad unit. The group appeared before Lt Gen Andrew Gutti, the chairman of the court where they have been charged with aiding and abetting the kidnapping by commission, repatriating Rwandan exile and refugees and Ugandan citizens to Rwanda between 2012 and 2016. They have also been accused of failing to protect war materiel by issuing arms to unauthorised persons including Boda Boda 2010 members led by jailed Abdallah Kitatta between 2010 and 2018. The Army lead prosecutor Maj. Raphael Mugisha presented in court an amended charge sheet where the former police chief Gen Kale Kayihura who is on bail is facing the same charges. This brings the number to eight police officers. Lt. Gen Gutti has remanded back the 7 officers in custody at Makindye police Military barracks where they have spent several months having been arrested in June last year alongside Gen. Kale Kayihura in an operation mounted to revamp the Uganda Police Force. They will re-appear in court on February 11, 2018. Kayihura was first charged in August 27, 2018. with similar offences and he pleaded not guilty to offences. Agasirwe is being charged for the 3rd time before the same court on offences of kidnap of Rwandan refugees.